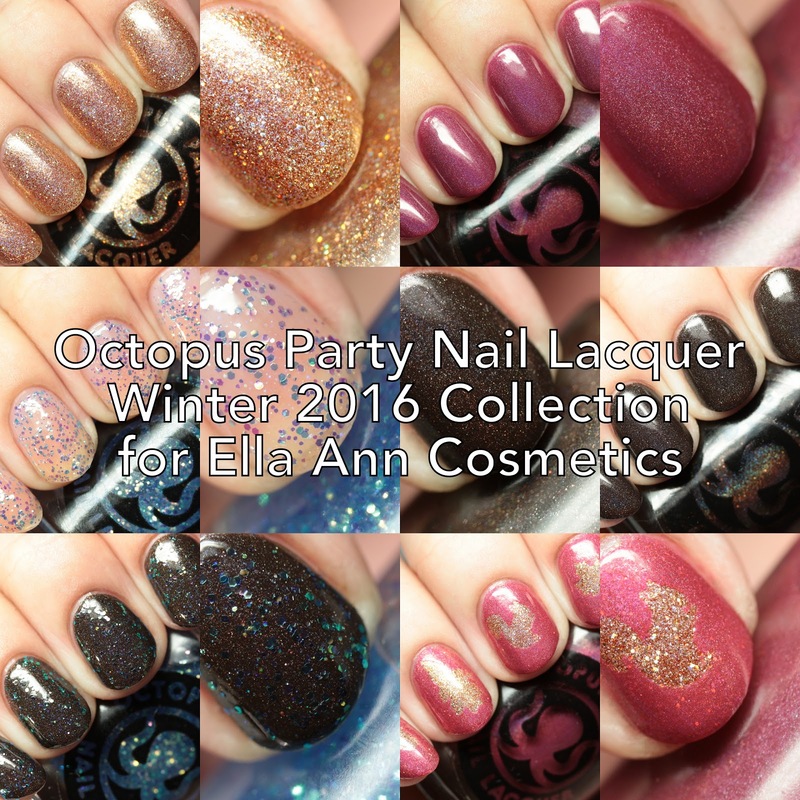 Octopus Party Nail Lacquer is releasing a quartet of polishes - the Winter 2016 Collection as an exclusive to Ella Ann Cosmetics. 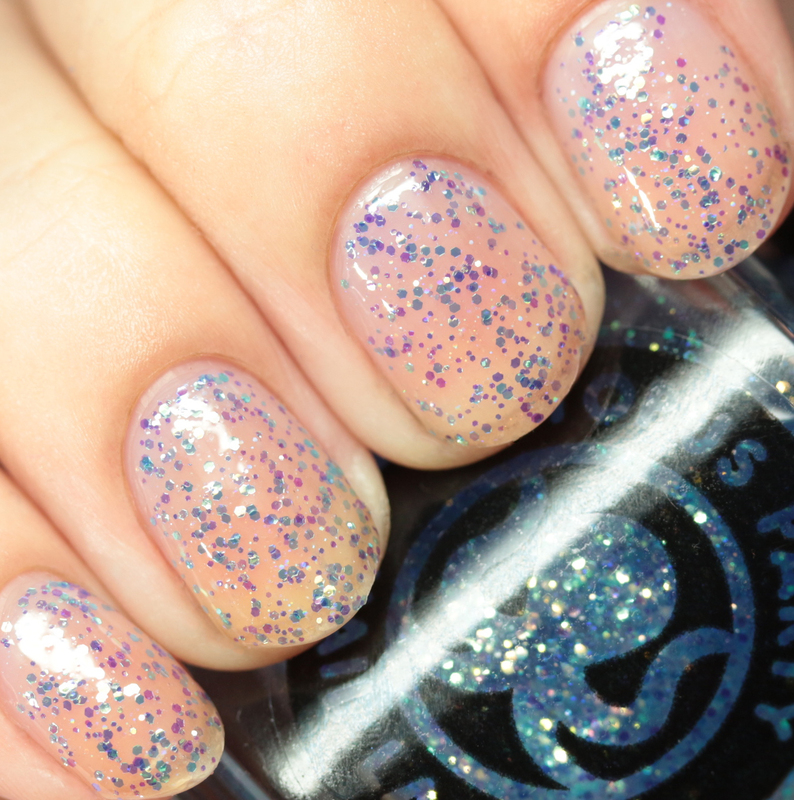 The set includes two holos, a holo glitter metallic, and glitter topper. Let's check them out! 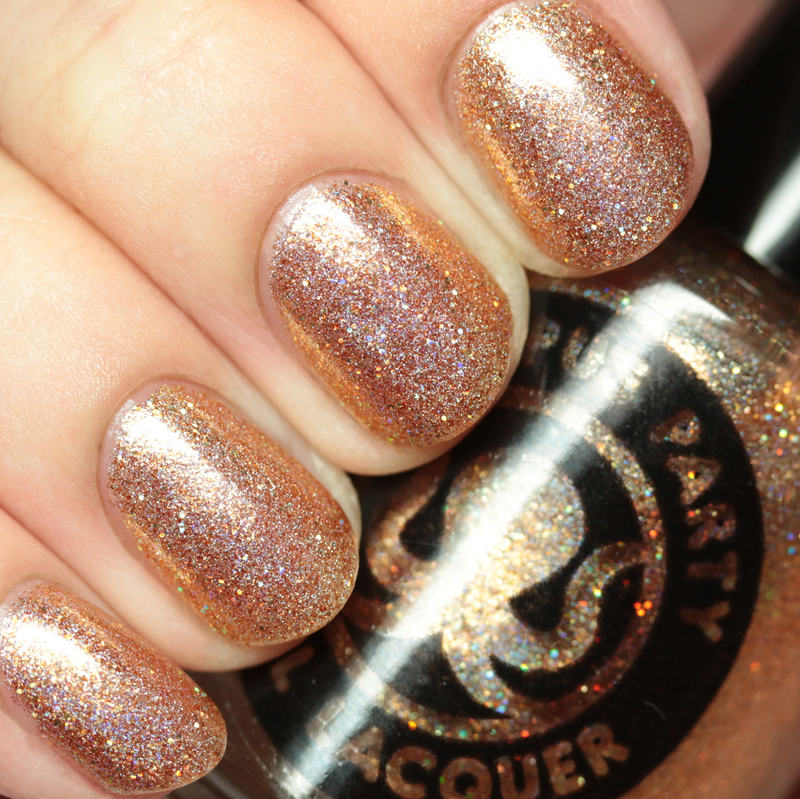 Amulet is a gold microflake foil with holo shimmer and gold holo glitter. 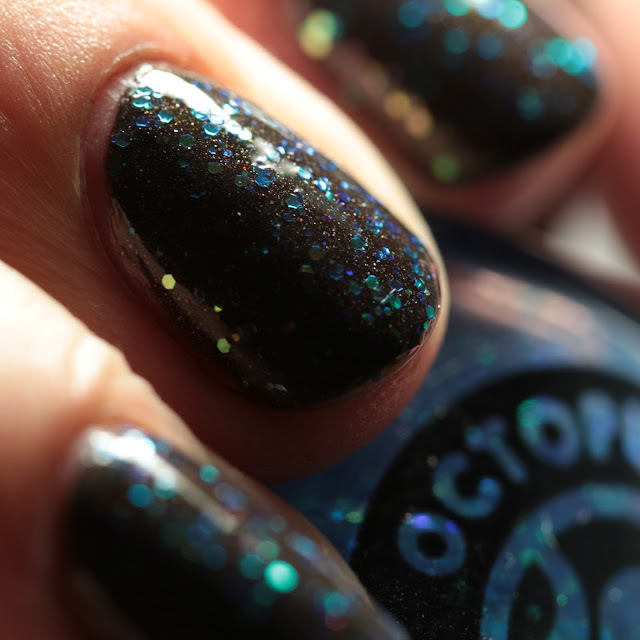 It can be used as a full coverage polish in three or four coats or as a topper. I used it on its own. It has a bit of texture but can be smoothed out with top coat. 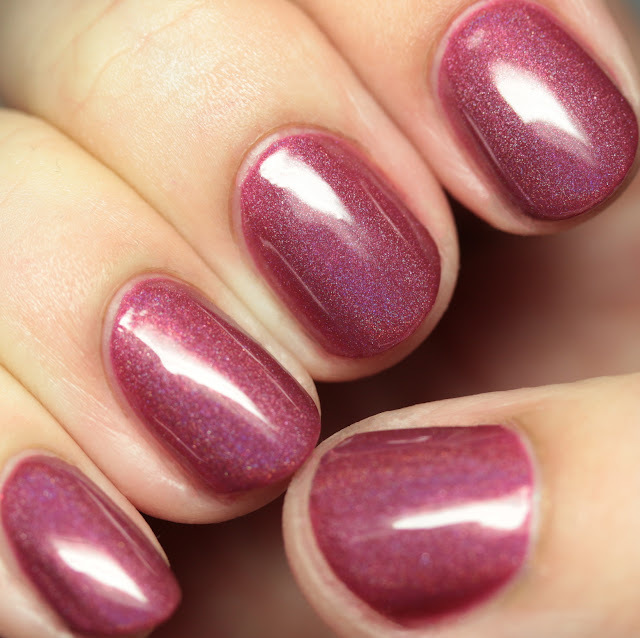 Edge of Velveteen is a berry-mauve linear holo, worn here in three thin coats. Nice smooth formula on this one. On the Frocks has gold to indigo multichrome iridescent microglitters in a clear base. I used it in four coats on its own and two coats as a topper. Here is On the Frocks in two coats over Stag Party. 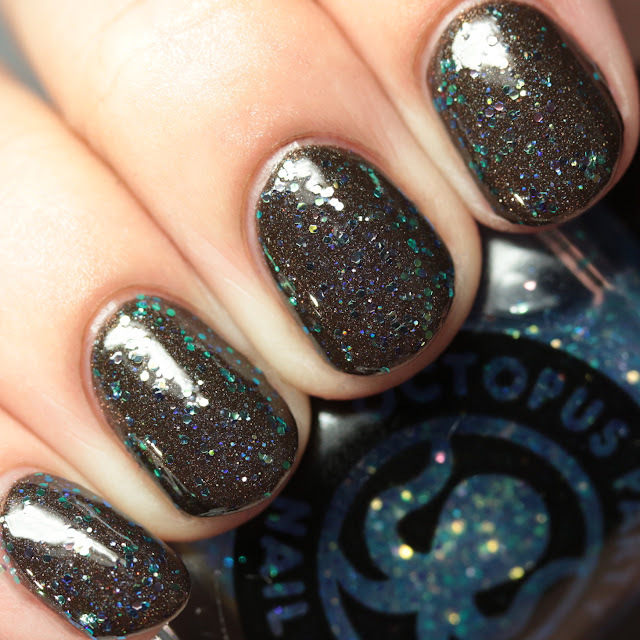 Stag Party is a black-brown linear holo with red microglitter, worn here in three thin coats. It has a bit of texture but is perfectly smooth with top coat. 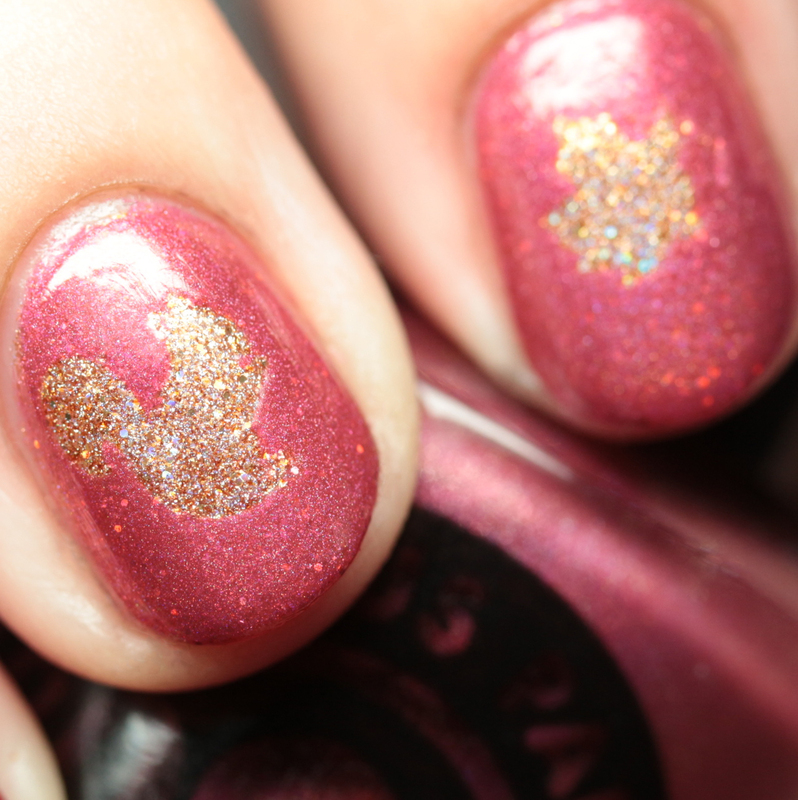 I love the sparkly of the tiny red microglitters, which are so small they look like shimmer. 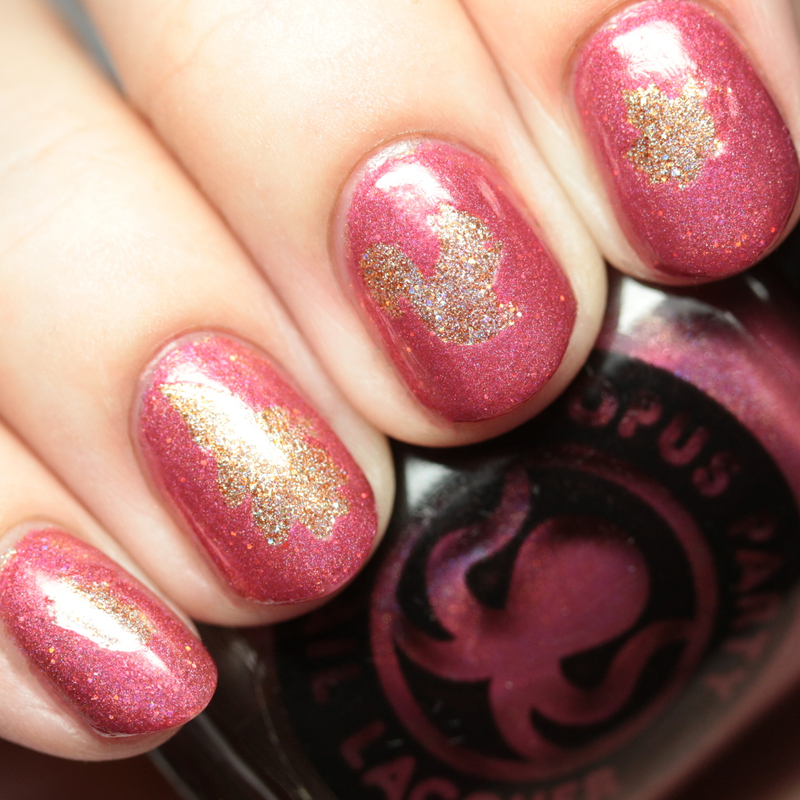 I also tried some decals with Edge of Velveteen over Amulet. Since Edge of Velveteen is somewhat translucent, a single coat allows the sparkle of the gold to show through and warms up the color. These are available at Ella Ann Cosmetics for pre-order on November 24 at 10PM EST. For the first hour they will be priced at $42 for the whole set - a full $10 off. What a deal! Ella Ann Cosmetics is a US-based distributor of indie nail polishes and beauty products run by Kristen. She ships lighting fast and offers great customer service.